"The proposal is to build a 50-foot wheel that would spin with the river’s flow. Its backers say it could provide renewable power to the RiNo Promenade, a mile-long park set for construction along the banks of the river. A separate, floating component would be anchored in the river to collect trash and prevent debris from entering the wheel." 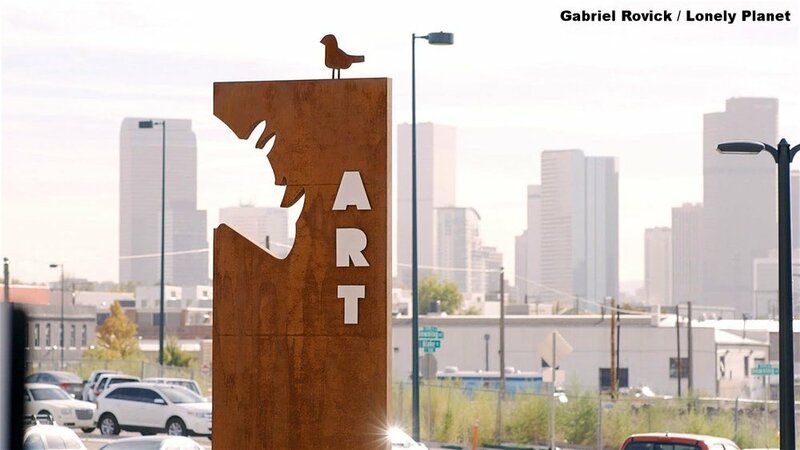 "Even as the Mile High City expands, RiNo still clings to its punk-rock roots. You’ll find it in the street murals that seem to pop up overnight, in the experimental galleries that play open house on Friday nights, and in the innovative food halls and rockabilly microbrews that play host to the city’s young, bold and tattooed." "The finished bridge will stretch about 310 feet, starting at Taxi and landing near the current intersection of 35th Street and Arkins Court. Eventually, that will be the corner of RiNo Park, also scheduled for construction in 2018, and the proposed mile-long RiNo Promenade." 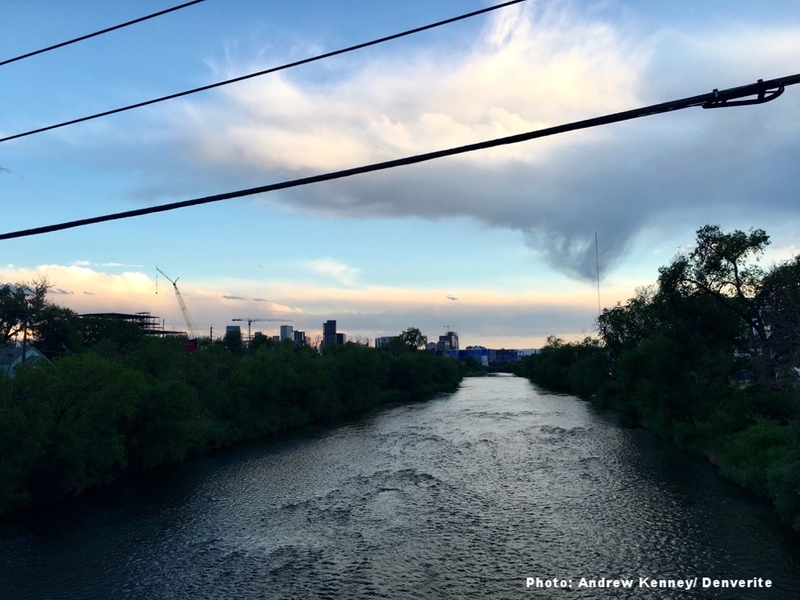 "The plan to create a mile-long stretch of parkland along the South Platte River in RiNo is looking a lot more feasible this week. Mayor Michael Hancock has included the “River North Promenade” in the final list of projects that will be funded if voters approve a $937 million spending package." "Part of the plan is to replace Globeville Landing’s deep concrete channel with an open, natural drainage. The city plans to revamp the rest of the park along with all that construction." 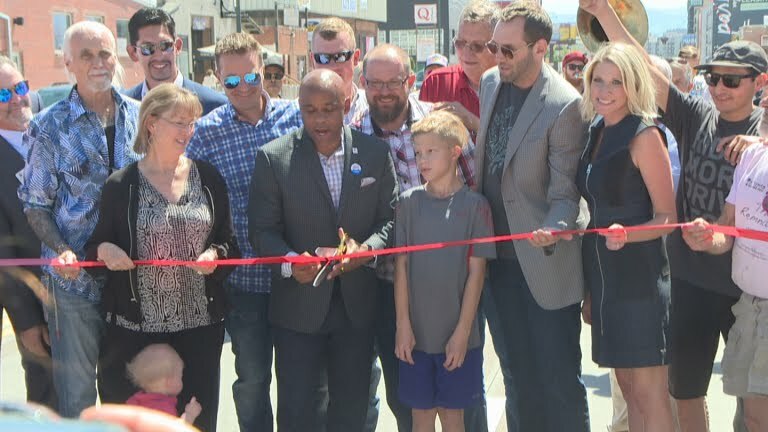 "Denver Mayor Michael Hancock was on hand to cut the ribbon on phase one of the project, calling it a main artery to the city." "Paco Sanchez Park is set to receive $6.6 million to pay for the final stage of the “Re-Imagine Play” project, while $5 million will kick off construction on a river promenade in the River North Art District along Arkins Court." The company has hired three people through the program since January at a starting rate of $16 an hour. Boaters have returned to the South Platte, but what about everyone else? “We see this as a place they’re going to be walking their dog, they’re going to be strolling. This is going to be their outdoor living room, so to speak, and not as much guys and girls in spandex riding 30 miles per hour,” says Greg Dorolek, principal at Wenk Associates, the firm designing the park. "AEG Live Rocky Mountains partnered with Bernard Hurley to produce the first RiNo Music Festival. The music festival kicked off the development of six acres in the heart of the RiNo District." "The RiNo market doesn’t show signs of slowing down in 2016. Several upcoming public investments could have an outsize impact on the neighborhood. "In the rapidly developing River North Arts District, an underused lot is being transformed." "An entertainment district anchored by MillerCoors’ Blue Moon Brewing Co. in Denver’s River North neighborhood will serve as one of the first developments that will help the area’s namesake feature — the South Platte River — become a front door of sorts for RiNo." Construction is underway on the 14-acre development in one of Denver's hottest neighborhoods. A Denver nonprofit has built 270 bridges in impoverished places around the world. Now it’s turning to its backyard in RiNo. "In Denver’s River North Art District, near the group’s Five Points headquarters, it is working with community leaders to adapt its standard cable-suspension bridge design for its first U.S. span: a South Platte River crossing that, as soon as next summer, could connect Globeville to the burgeoning area near Brighton Boulevard." "Along with all the new artists' studios, drinking spots and apartments, Denver's River North district is seeing a eruption of new office space." "Is there any pursuit more noble than eating taco after taco in the attempt to find the perfect one? I think not, which is why Top Taco, happening Thursday, June 22 at the River North Festival Grounds, isn’t so much an optional event as it is a morally imperative one." "PSST… CHICKEN FIGHT! FESTIVAL WILL TAKE OVER RINO"
"Developer Bernard Hurley envisions a "festival street" including breweries, cafes, restaurants and music venues. The project would create around 12 acres of public space for the community". "The general idea is to create a series of plazas connected by walking routes. Interesting features could include a steel observation tower that “gets you up off the ground … so you have some views out over the river and up into the trees,” Wethington said. The project is 'really meant to speak to RiNo, specifically, and a lot of what you see in that area is adaptive reuse.'" "RiNo Music Festival recently held its inaugural concert series in the RiNo district, showcasing a variety of local and national talent. Little does Denver know, the music festival merely foreshadows what the district can expect in the upcoming years." "..Hurley has been assembling the money and land for an ambitious and unusual project that could finally deliver the kind of dense, interconnected and green space that has eluded RiNo’s redevelopment. His plan for “Hurley Place,” the developer says, is the best-kept secret on the South Platte." "Business promoters now want to create an international trade hub in the district and are ready to capitalize on what they see as one of Denver’s last development frontiers. The developer Sean Campbell and World Trade Center Denver, a nonprofit organization that helps regional businesses, have proposed building a $200 million international business campus in RiNo." “'Five years from now, this is going to be the best part of Denver,” Hurley said, gesturing toward the area from where he stood near the bank of the South Platte River." "Miller Coors' Blue Moon Brewing Co. will anchor a new, five-acre entertainment district in Denver's River North neighborhood, the project's developer said Monday." "Bernard Hurley owns six acres near the area of North 38th and Chestnut streets. He’s looking to turn it into an entertainment mecca called Hurley’s Place with live music venues, apartment buildings, shops, a bike-in movie theater, a river walk and a large-scale promenade. “We’re just excited to create this sense of place that we feel does not exist in the city right now," Hurley said." Uploaded by Visit Denver on 2015-12-01. "With 250 acres of redeveloped land, the National Western Complex will support Denver’s global standing as a world-class hub for agriculture and innovation." "National Western leadership is currently working with a multitude of partners including the City and County of Denver, Colorado State University, the Museum of Nature and Science and History Colorado to explore a site plan that would reinvent the complex for the next 100 years. " Colorado State University is a key partner in the the reimagining of the National Western Center, a combined 250-acre site near Interstates 70 and 25, that is a planned year-round educational and entertainment hub for the city.